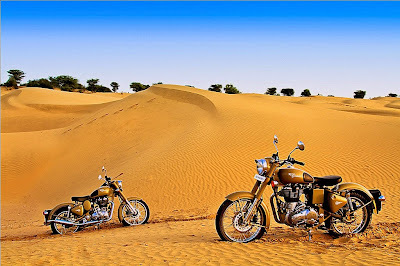 Royal Enfield, a unit of Eicher Motors Ltd, today announced the launch of two leisure bikes.The bikes, Classic Chrome and Desert Storm, being limited edition products, would be available at select brand stores and dealerships across the country. The Classic Chrome will be priced at Rs. 1, 50,659 (Ex-showroom Mumbai) while the Desert Storm will cost Rs. 1, 43,967 (Ex-showroom Mumbai) while the on road prices will be Rs. 1,65,400 and Rs. 1,58,200 respectively. "When we launched the Classic in November 2009, we had not imagined in our wildest dreams that this new product would occupy almost 40 per cent of our total sales within a year of its launch. During this time we have feverishly engaged ourselves in burnishing this gem. 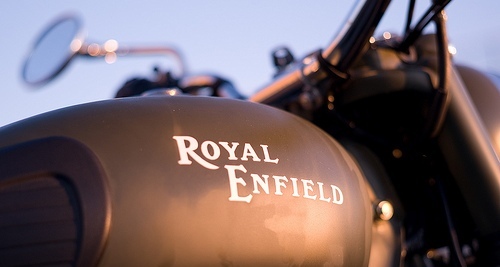 The fruits of this labour are now manifested in the Classic Chrome and Desert Storm," Royal Enfield CEO Venkatesh Padmanabhan told reporters here. The Classic Chrome gets a fuel tank finished in chrome, wider mudguards and an oval tool box. That said, the 500 cc twin-spark engine puts out 27.2 bhp of maximum power and 41.3 Nm of torque. The Chrome also sports a leather finished seat which adds to the retro British bike feel. The Desert Storm is finished in “sand” paint scheme and is sort of a tribute to our soldiers who have protected the honor of our nation, serving for the country in the harshest of environments. The major difference between the two bikes is the unique paint job each one of them sports. The two new Classic 500 versions carry the same single spring saddle seat and look identical to the old classic except for their colour scheme. The ECU of the new bikes has also been revamped for smoother power delivery. Among other notable changes are the wheel sizes of the bikes that will now be 19-inch in the front while the rear maintains its 18-inch rim, but now sports a slightly wider profile of 120/80-18 in place of the previous 110/90-18. Also, the front wheel mount on the fork tube has been changed on both the bikes to accommodate the new larger front wheel. 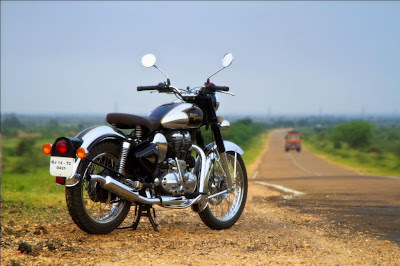 "Following the launch of Classic 350 & 500cc in September 2009, we have been continuously equipping our dealerships to take customer satisfaction to the next level.In 2011, we have added 15 dealerships and one brand store to our existing network," he said. "Our customers have been demanding the `Chrome' model for quite some time now. 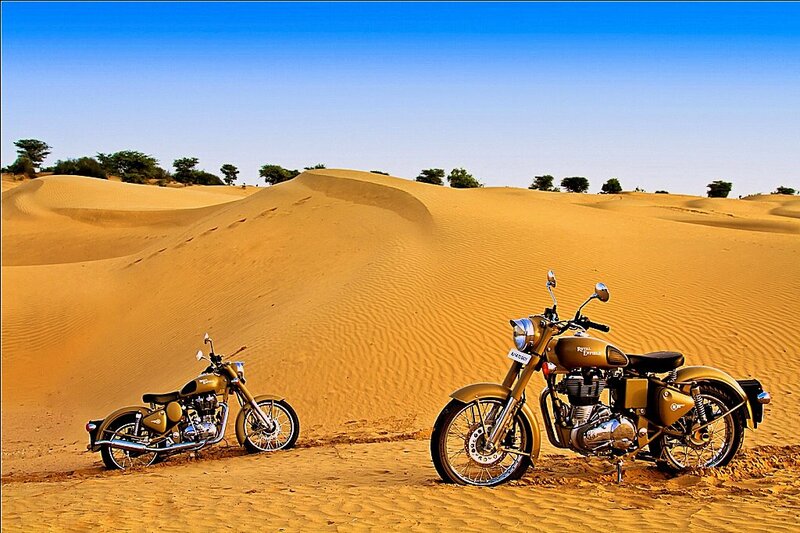 Both Classic Chrome and Desert Storm are meant to bring more thrills to the customer," said Royal Enfield Senior Vice President, Sales & Marketing, Shaji Koshy.With its manufacturing base in Chennai, the company offers a variety of models catering to the needs of the traditional segments, the enthusiasts, the leisure bikers and the urban youth.